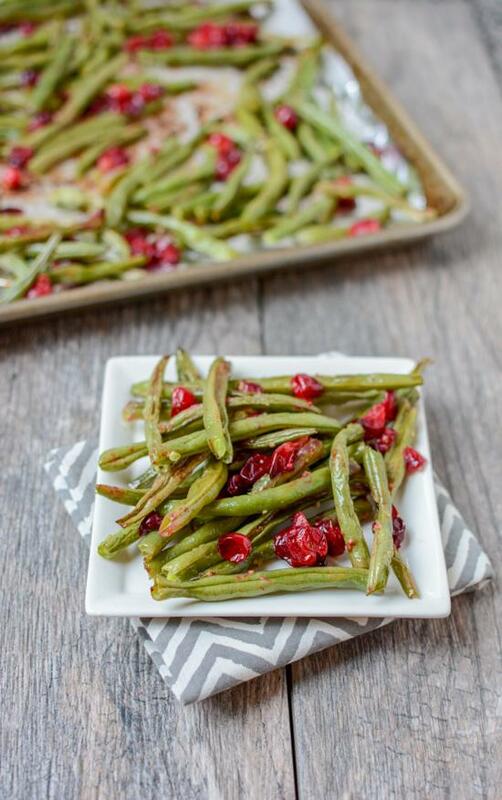 Bursting with flavor, these Ginger Garlic Roasted Green Beans with Cranberries make a great holiday side dish or a simple addition to your weeknight dinner table. Just popping in to share my favorite new side dish. I really can’t believe that I’d never tried roasting green beans until I posted this One Pan Roasted Chicken and Vegetables last month. Guys, it’s a total game-changer. Clearly I love green beans. See name of blog. But I tend to always prep them the same way. In an effort to be a bit more adventurous, I changed things up big time by adding some seasoning AND changing my prep method. Double whammy of deliciousness. If you’re a green bean casserole lover, you should def try my Greek Yogurt Green Bean Casserole for Thanksgiving. If you’re not, you should probably make these. They’re quick, easy and festive. Plus they’re bursting with flavor thanks to the ginger and garlic. And fresh cranberries are just a fun addition. 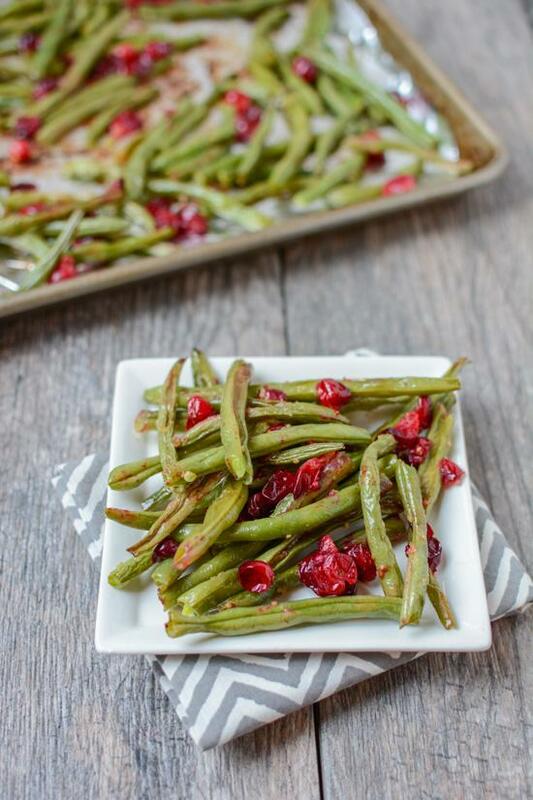 Bursting with flavor, these Roasted Ginger Garlic Green Beans with Cranberries make a great holiday side dish or a simple addition to your weeknight dinner table. Spread on a foil-lined baking sheet and roast at 425 degrees F for 15-20 minutes, stirring once. You could double the recipe but I’d roast them in 2 batches. Don’t want to crowd the pan! I used Garden Gourmet Ginger Paste instead of fresh ginger the second time I made these. Both work great. 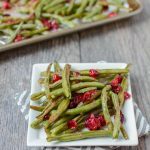 Add these Roasted Ginger Garlic Green Beans w/ Cranberries from @leangrnbeanblog to dinner tonight! So many of my favorite things. This might be dinner tonight! I am not a casserole lover, so these sound perfect!! 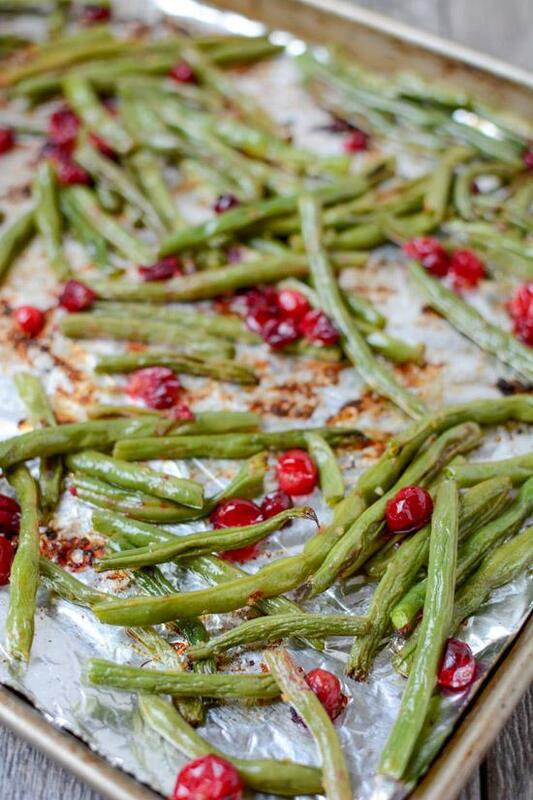 I’ve never roasted green beans, even though it’s my favorite method for most vegetables. Great idea! yum! love that they are not covered in white sauce. These look delish! I am not a green bean casserole lover at all! These look incredible! I’m definitely making them for Thursday! weird! sorry about that but i’m glad they’re back! I’m always looking for more ways to use cranberries! Roasted sounds amazing! Roasting green beans is the way to go! So glad you tried it out! Love the addition of cranberries here – great color and flavor. This looks totally perfect for the holidays! I LOVE the addition of cranberries! These are the perfect holiday side dish! I LOVE garlic and cranberries but don’t ever have them together in one recipe! Will have to try this before Thanksgiving! Never added cranberries with beans. This sounds super interesting. will try this for sure.